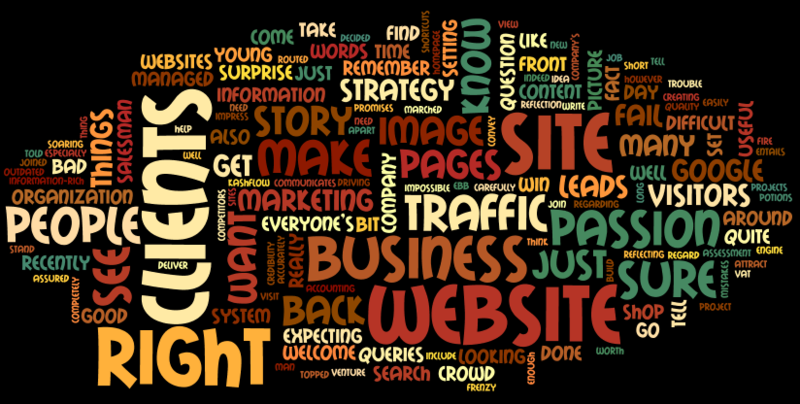 Home » Blog » Marketing » Need more traffic to your site? Need more traffic to your site? How do I improve my search engine rankings? Fair enough! We all want to see our sites adorn the coveted top rungs of Google search lists. We want more visitors coming in to view our websites. But, before running around in a frenzy, gathering shortcuts to steer in the traffic, have you ever stopped to think if you are really ready for all the attention? Is your site really prepared to greet the crowd that will ebb in? Everyone wants more traffic to their websites. But what most people fail to understand is, the whole idea of driving in the traffic can in fact back fire and even prove to be lethal to you, if you do not do your ground work carefully! Your website is a reflection of what you and your business stand for. It is a projection of your company’s image, and how you go about your business. When a well-maintained, relevant and up to date website will convey a positive picture of a flourishing business, an outdated site just about projects the opposite picture. If you are unclear about your strategy or if there is an internal conflict within your organization regarding the marketing strategy, then your website is sure to reflect this. In fact it will scream this out to your clients and your competitors, and you would successfully have dug a hole for yourself. I shall illustrate my point with a story. One of our clients recently hired a young gun who would just not be told how to operate as a salesman. After several futile sessions to educate him on the company objectives, off marched the fella, armed with a few leads that our clients managed to drive in, and topped up with quite a few of his own, expecting to bring in the crowd overnight. Well, you guessed it right, not only did the overzealous young man fail miserably in his venture, but he managed to make a good mess of the project, tarnishing the very image of the company. However, to everyone’s surprise, the guy came back with promises of setting everything right and asking for more leads this time! Perseverance is indeed a commendable quality. But unfortunately, these are circumstances where it is very difficult to go back and undo mistakes once the damage has been done. I would say, a bad website is like a bad salesman- Not only does it fail to impress, but it also ends up projecting the wrong image about your business! The toughest bit in marketing is- once perceptions are set, it is very difficult to build up a completely new “image”, and win people over again. I wouldn’t say it is impossible. But all the trouble can be easily avoided, if you make sure to put your best foot forward in setting the right stage, at the very outset. Give visitors the information they’re looking for! No abracadabra, no secret potions and no tricky short cuts. Just make sure you make a straightforward, useful website that communicates effectively, and helps people find what they are looking for- and be assured you are on the right track- all set to welcome the traffic. That done and audience routed, it will also be well worth the effort to get an assessment on how well your site is performing- how many people visit your site, and how many leads do you get, and the like. With the right marketing strategy and an honest genuine passion for what you are doing, it won’t be long before you see these numbers soaring. It takes passion to run a business, and it is passion that gives the courage to survive all the ups and downs that it entails. Only if you have passion, can you do the right things and win the loyalty of your clients. If your website can succeed in reflecting that passion, your clients are sure to sense it. So, why don’t you just tell them your story! Tell the story because it is credible. Tell the story because it will reach out to your clients. The clients that have been around the block a bit know that the world is not perfect, but they want to know that you can do the job. They have it in them to know credibility when they see it. Clients will trust you because you know what you are doing. They come with a question and in no time they have answers. They come back to you because you deliver and make things happen. Just remember, your website is a window on your organization – it is your shop front. The website exposes all the goodness that you are doing day to day. Rocket science it is not. Do the right things, and you will strike the right cord, and people will want to do business with you. And if you need any help in making sure your ‘shop front’ is all decked up to offer your clients a warm welcome, we are just a phone call away. And do remember to join our mailing list and follow our blogs!